On a whim I picked up Rogue’s new Weight Releasers; a more refined adaptation of the old school, eccentric loading, powerlifting accessory. I’m not exactly sure what compelled me to buy them. I wasn’t exactly in the market for them, but buy them I most certainly did. So now that I own weight releasers I’ve been putting them to good use. I’ve been squatting and benching with them regularly (perhaps too often?) and as I’ve gotten comfortable using them I have added more and more weight (I say comfortable because the transition from an overloaded eccentric to a near-max concentric feels very weird at first). My impression so far is great. I like having access to them; which is especially nice since I didn’t actually intend to buy them. They are challenging, training with them feels productive, and I certainly feel like I pushed myself the next day. I’m definitely excited to see what long-term impact they have on my unassisted 1RM attempts. In any case, weight releasers are not the most exciting product to talk about, but you know me, I can’t buy much of anything without wanting to review it; so here’s my take on them so far. I’m new here. What’s a Weight Releaser? 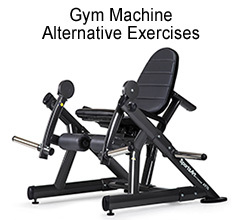 Weight Releasers are adjustable steel hook attachments that allow the lifter to overload the eccentric portion of a lift; namely the bench press or the squat; yet still be able to complete the concentric portion. This is done by adding a percentage of the absolute weight that you want to lift to the weight releasers rather than loading all of that weight on the sleeves. As the weight (presumably more than you could lift back up) reaches the bottom of the lift, the weight releasers touch the ground then fall away from the barbell, reducing the total weight and allowing the rep to be completed. Weight Releasers may sound like just another take on resistance bands or chains, but what they allow you to accomplish in the rack is very different indeed, and I’ll get into that. stated weight: 17.5 lbs / 7.95 kg (+/- 0.5 lb) ea. weight of my releasers: ~17.15 lbs / 7,8 kg ea. 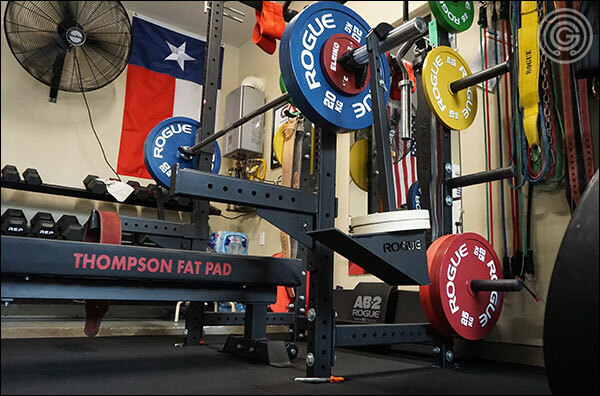 Rogue’s Weight Releasers appear to be designed intelligently and built rather well. I do not have other versions of this accessory to compare to the Rogue’s, but the locking pin doesn’t seem cheap, the UHMW plastic around the hooks is pretty thick, and the angle of the hooks and slope of the base allow the releasers to drop free from the bar easily and smoothly with no issues, and they come to rest on the floor far out of the bar’s path. I haven’t found myself thinking “if only this was like this” or anything like that. 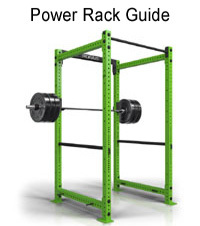 Considering how these work and the percentages of weight used on the bar versus on the releasers, there is no shortage of loading space -; definitely more space than would ever be needed. Loading and unloading plates takes a minute, but certainly no where near as long as your rest between sets will be. 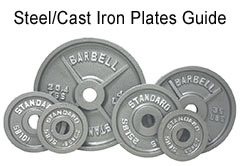 Weight Releasers are not an appropriate beginner’s accessory. They require a certain level of experience to use safely; a greater level of control and stability. Novices are very unlikely to have a clear idea what kind of super-maximal load their bodies can safely handle and are just more likely to get hurt. Even those with experience should move past a 100% eccentric load slowly and methodically. Rogue also suggests that those with injuries should avoid this product, and I can certainly see why that would be. Are Weight Releasers Worth the Cash? 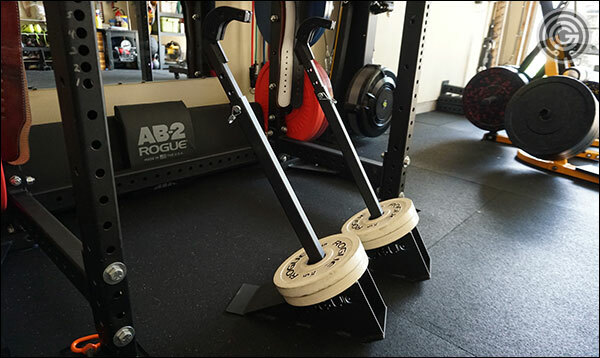 Owning a pair of Rogue’s Weight Releasers is not too different from owning a set of chains, resistance bands, Slingshot, specialty bars, and so on. It’s just another tool in your arsenal. Are they worth the $165 asking price? 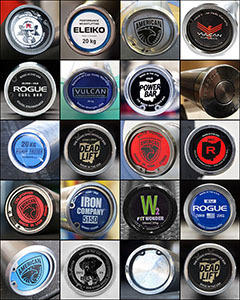 Well that is certainly a matter of opinion, and based on the comments I’ve read on Instagram alone that opinion can clearly go both ways, but I believe it’s worth pointing out that Weight Releasers are actually much different than bands, chains, boxes, and all the other tools currently in your arsenal. Weight Releasers are unique in that they require you to stabilize & control a super-maximal load for the entire descent. You’re working with a weight you could not possibly get back off your chest or stand back up with again. Only at the very bottom of the lift when the weight is released does the load become manageable. It is a completely different experience, and it’s far more taxing; at least in my opinion. 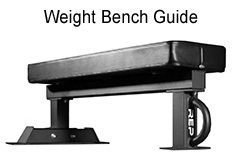 Is there benefit to overloading the eccentric portion of the squat and bench press? 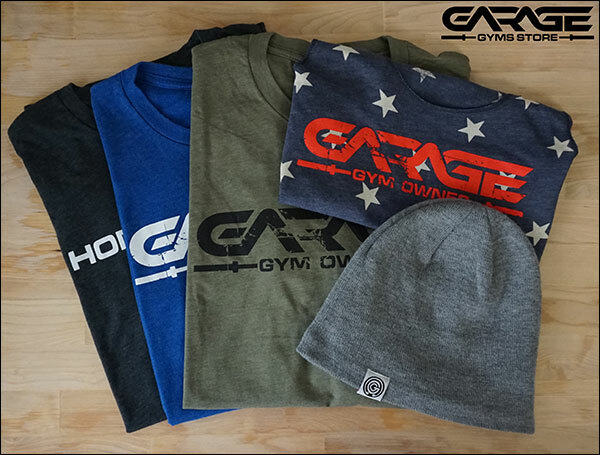 Well I’m an equipment man not a coach, but I do train more religiously than the average gym rat and I am very capable of doing research on these subjects, and I believe the answer is yes. Look at it like this: you already know that you are capable of stabilizing and controlling more weight in an eccentric contraction than a concentric contraction, but we can’t train with high weights that we can control in the eccentric but not the concentric because we cannot finish the reps. Well weight releasers allow us to appropriately load our muscles for each phase of the lift. The bar is as heavy as you can handle on the way down, and whatever amount you can handle going back up. By incorporating weight releasers you should begin to notice more control of the bar in the eccentric portion of your unassisted, 1-rep lift attempts. You may also get some benefit to your CNS since this type of loading is likely not part of your current programming. And then of course you should also see more strength gains being that you’re technically forcing the body to adapt to handling more weight. For me, the jury is still out on the gains but I’m very optimistic simply because the eccentric phase of a lift is generally considered to be far more beneficial than the concentric, and weight releasers are all about the eccentric. Rogue makes mention of greater explosiveness in the concentric portion of the lift; once the weight drops away; and it definitely does feel that way, but I am not sure how or even if that explosiveness carries over to 1RM lift attempts that don’t involve the weight releaser. To me it feels as though that explosiveness is just the result of a seemingly unliftable load abruptly becoming manageable again. As in, you know as the weight is coming down that you would never get that off your chest again, but suddenly weight drops away and you feel a surge of confidence and strength, and up it goes. Overall I’m happy with the purchase. 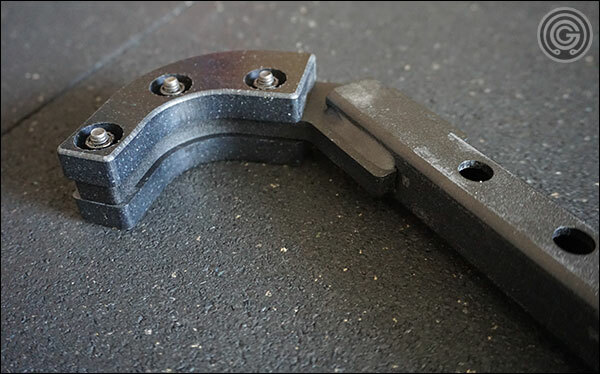 Weight Releasers may cost more than a Slingshot, but they’re less than a worthwhile chain collection, on par with a solid band collection, and they are definitely less expensive than specialty bars (and can be used with your specialty bars). Weight Releasers are not something you’d likely use day-in and day-out; they just seem too taxing for that. They also aren’t the most versatile accessory; kind of a one trick pony if you think about it; but they are also a very unique tool to have access to. Personally I think it’s a great product, and they really aren’t all that expensive. 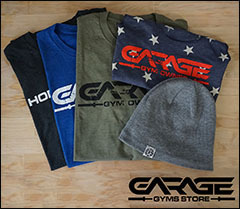 Do you have weight releasers? What do you think of them? and it doesn’t matter who made them; I’m still curious what you think. 165 is pretty high for a niche item. I ended up getting the Titan Fitness version and am pleased with them, but the Rogue do that have build quality they’re known for.